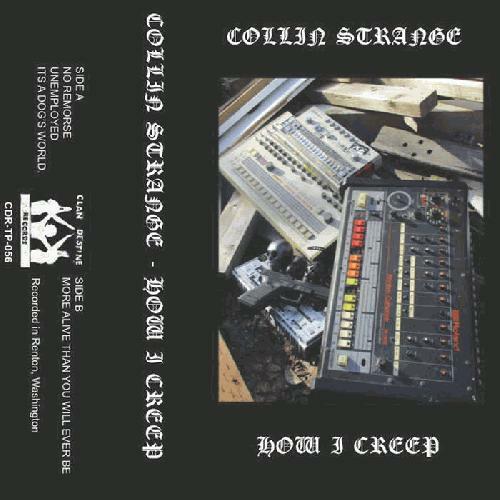 How Collin creeps is very much the opposite of creeping: techno thumpin' is steadily mammoth, bulk of surroundings are scuzzed+fuzzed well into the red, bombards the brain with its persistence and heady walls of sound. It can hit you like a thousand bricks, make you start seeing things, simply enthuse via texture, even get you boogieing. First three 5-minute tracks just seem like some grimy fun-n-games when compared to the precisely 16-minute fourth/ender; more alive and coarse and a head-driller than you will ever be.